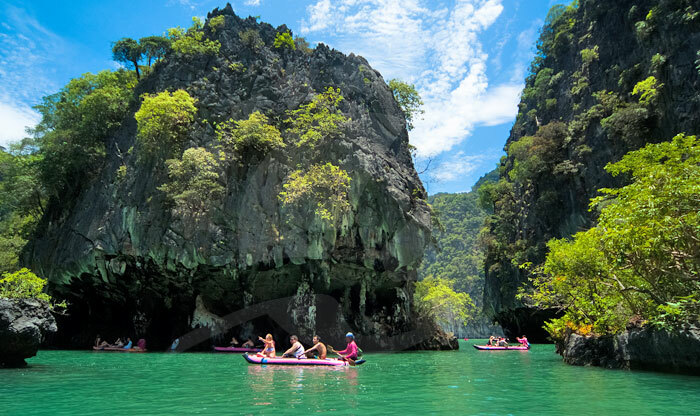 Phang Nga Bay is a very special place that is distinguished by having vertically standing sheer limestone karsts coming out of the beautiful green-emerald water. 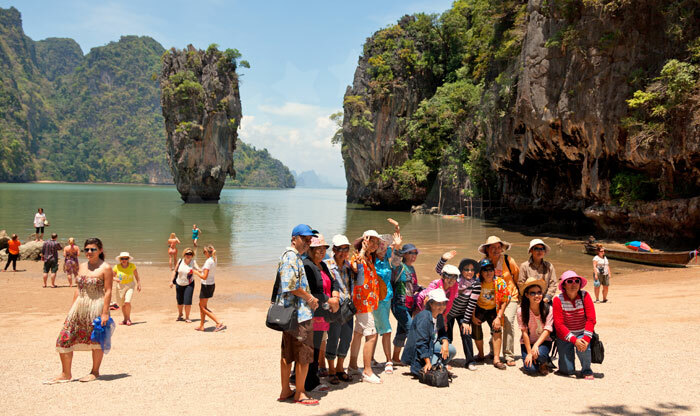 Another thing that makes this island even more special is the presence of James Bond Island which is named after being a part of the James Bond film “The Man With the Golden Gun”. 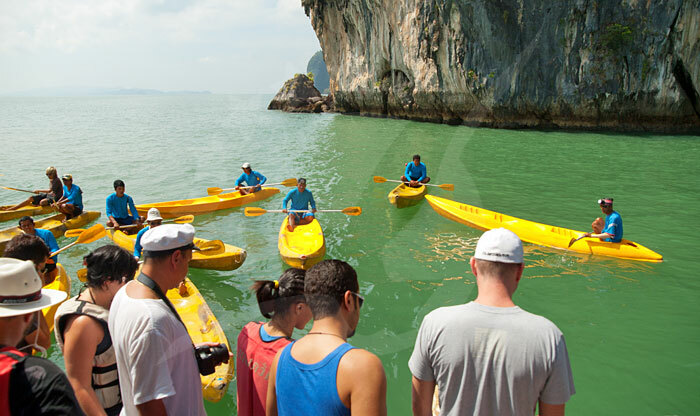 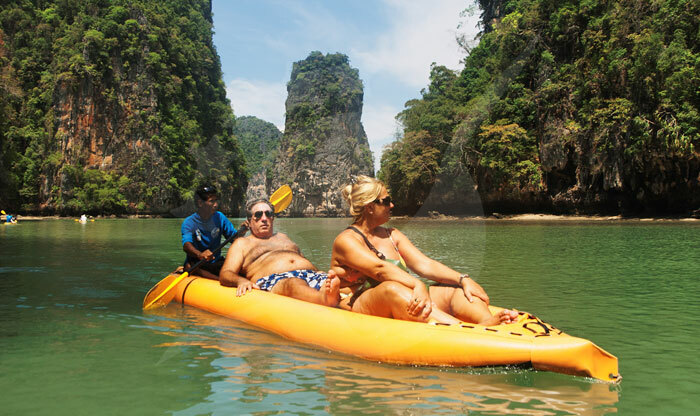 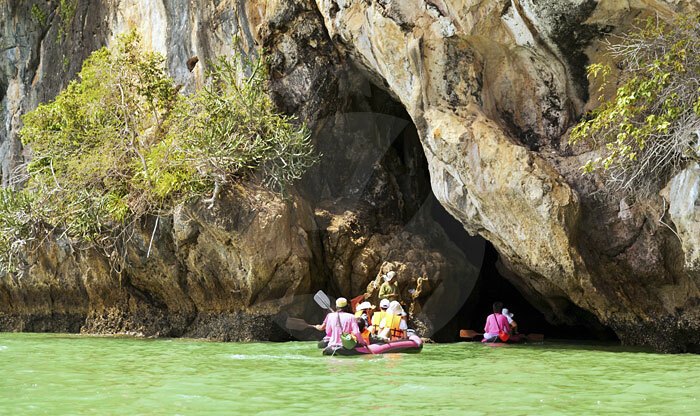 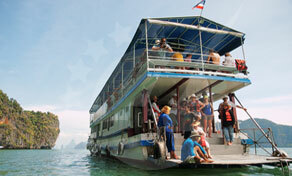 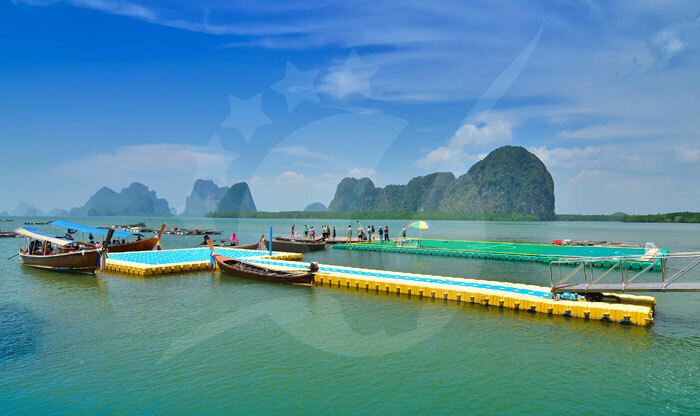 The island is always a part of any tour of Phang Nga Bay as well as the remarkable Koh Panyee. 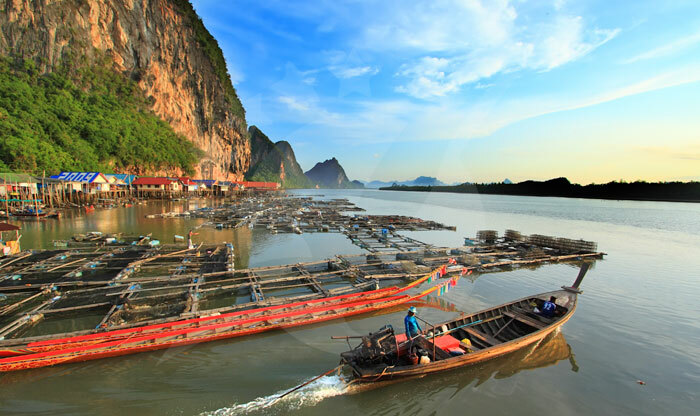 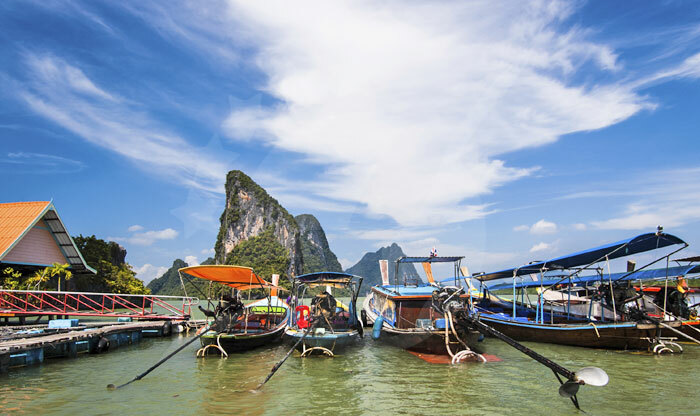 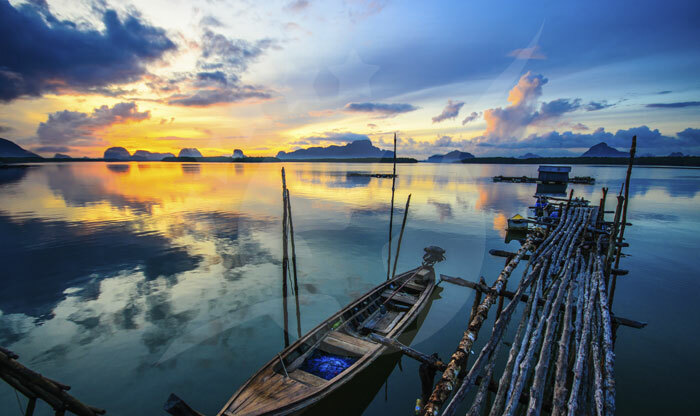 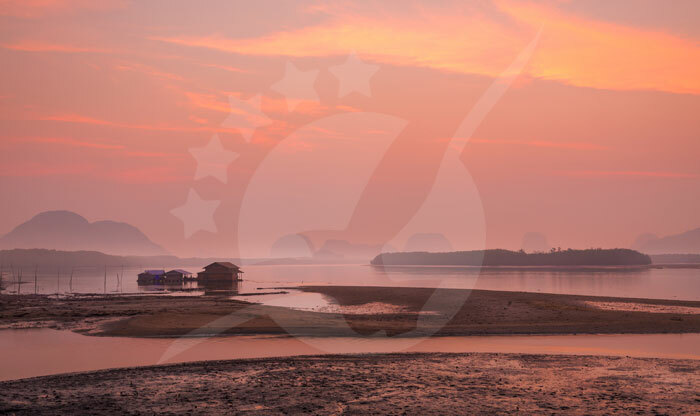 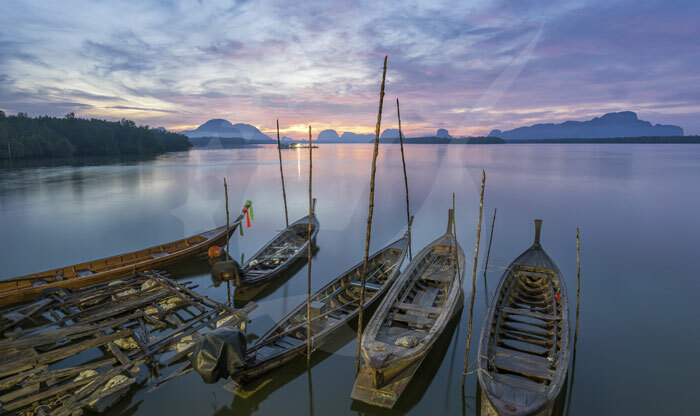 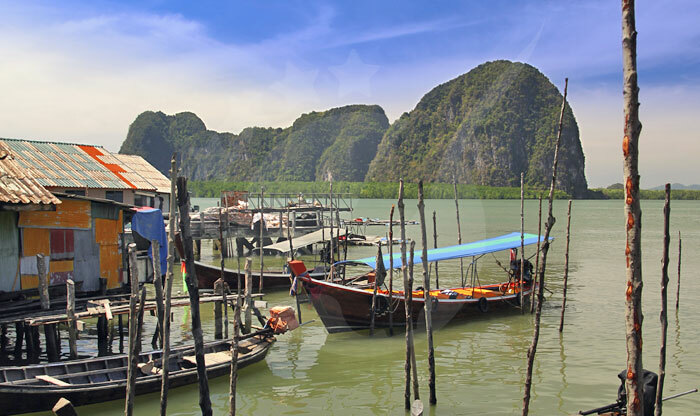 Who wouldn’t want to take a boat and sail ahead in the calm Phang Nga waters while enjoying the beautiful scenery and kicking back with a fresh drink? 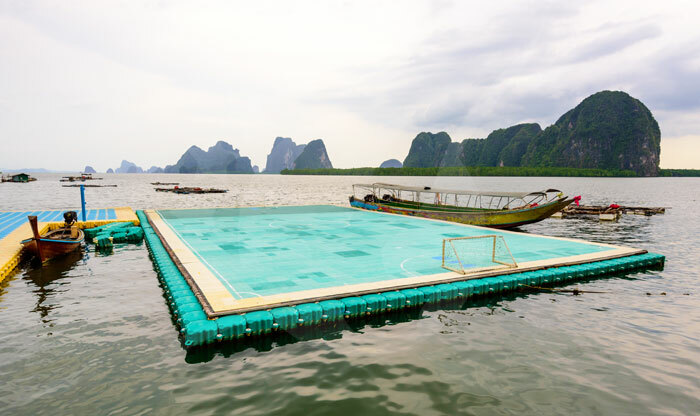 Well, the answer is no one. 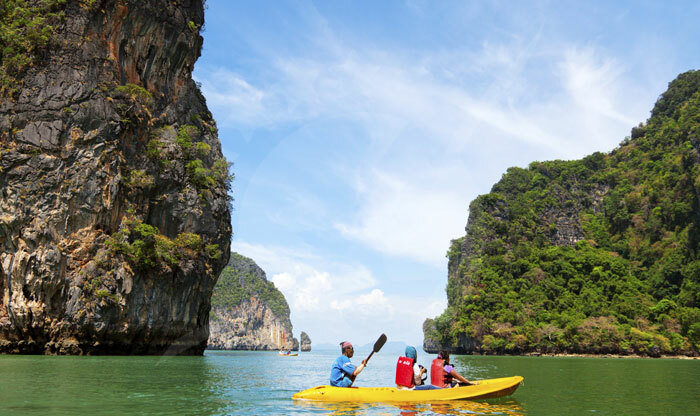 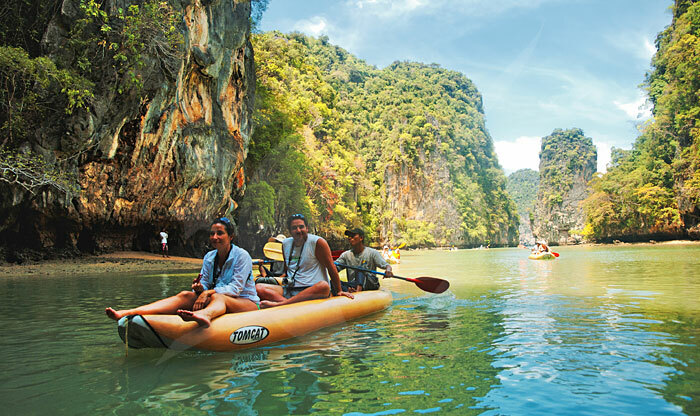 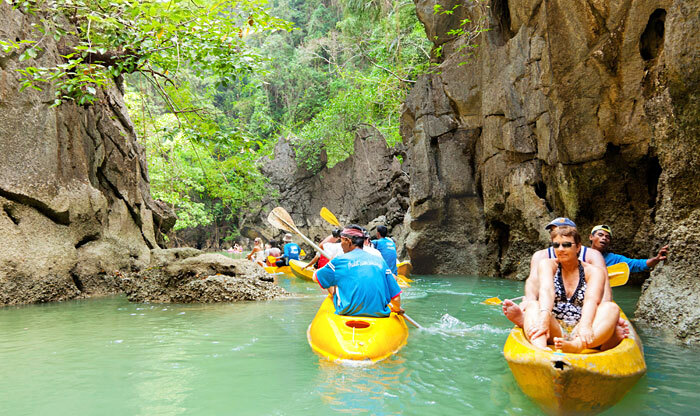 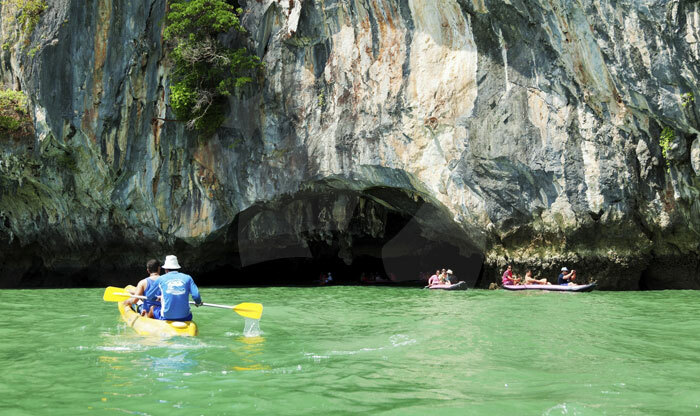 Phang Nga is a perfect place for a boat ride or even kayaking, the amazing limestone cliffs make the endeavor even more interesting with the backdrop that is so picturesque to add more to the eye candy. 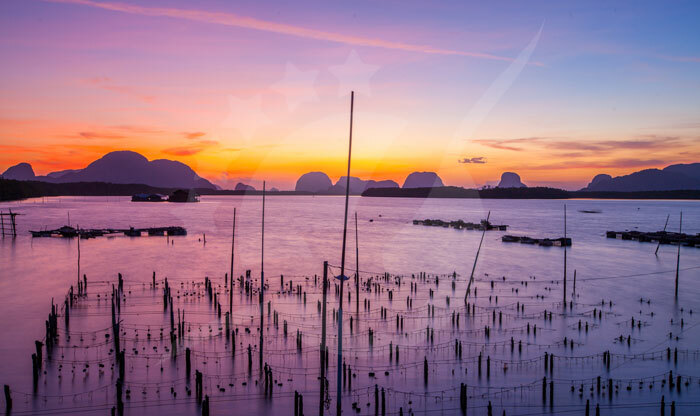 It is also one of the safest places for sailing because it’s protected from the Southwest and Northeast monsoon seasons making the water calm all year round. 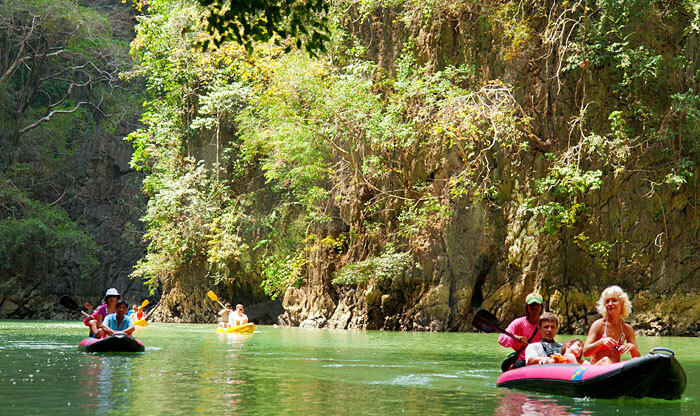 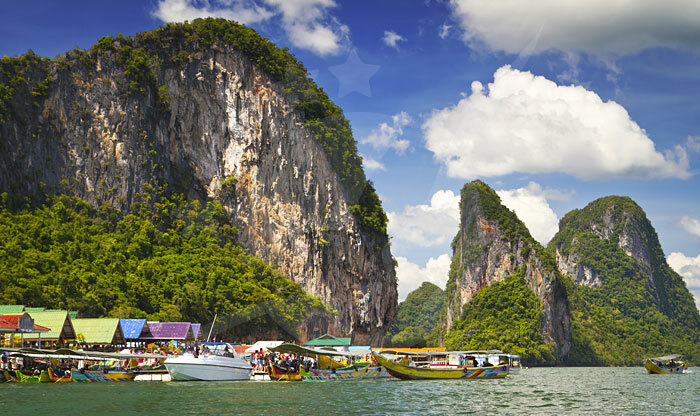 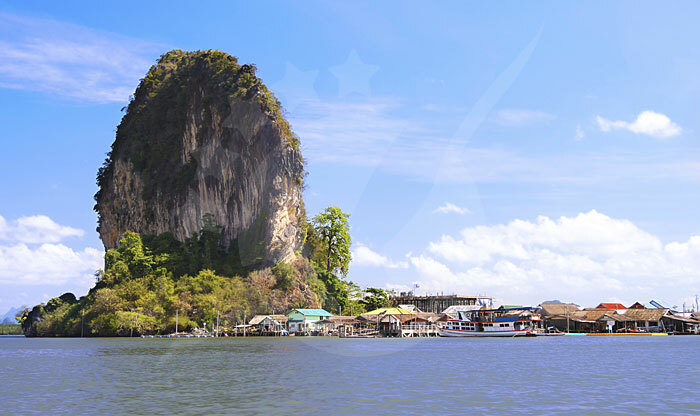 One special feature that distinguishes Phang Nga from other places is the almost vertical and huge limestone cliffs. 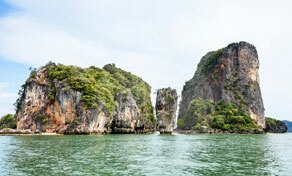 What is limestone cliffs made of? 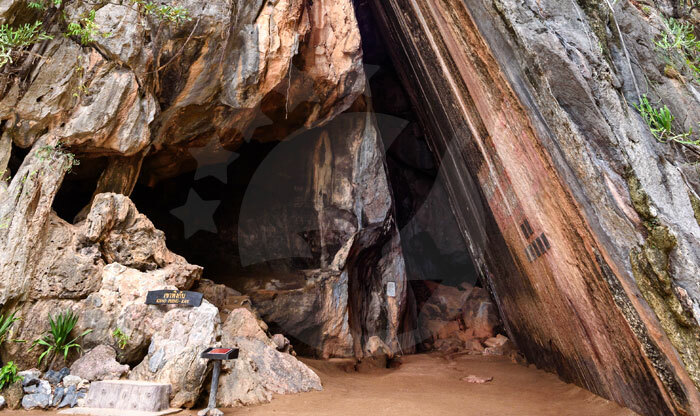 Well, it is basically calcium carbonate, however, over millions of years, it formed due to marine organisms’ constant rain, in addition to the chemical precipitation of more calcium carbonate building many thick layers and eventually, falling into the effects of pressure and heat making it into stone and a geological miracle. 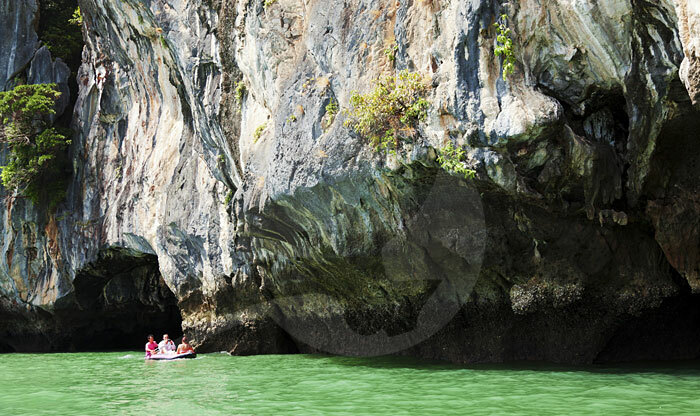 Limestone cliffs in Phang Nga are a sight to behold. 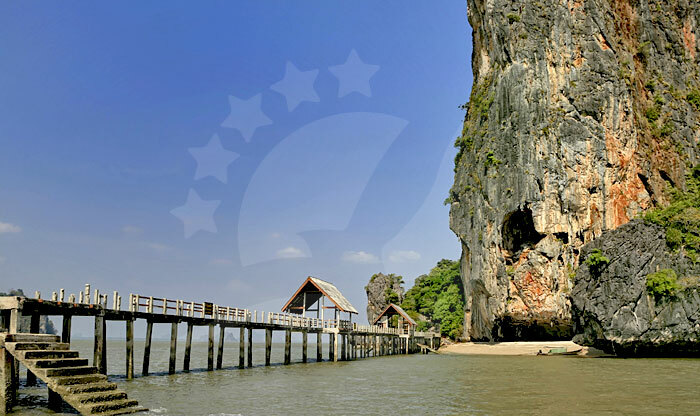 The landmark that everyone wants to see when visiting Phang Nga. 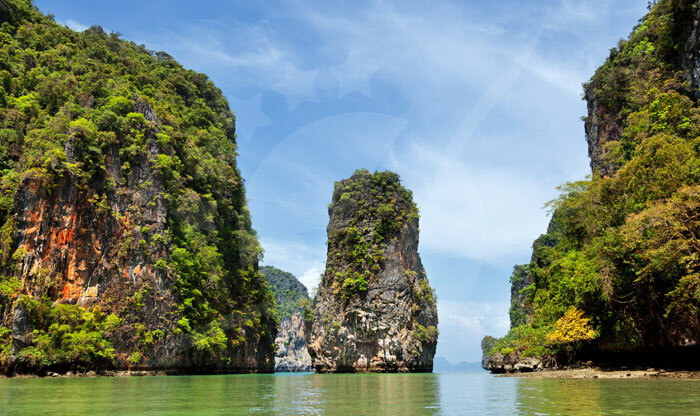 James Bond Island or Koh Ta-Pu which translates to ‘Nail island’, gained its international fame by landing a role in one of the biggest film franchises in the history of cinema, James Bond’s “The Man With the Golden Gun”. 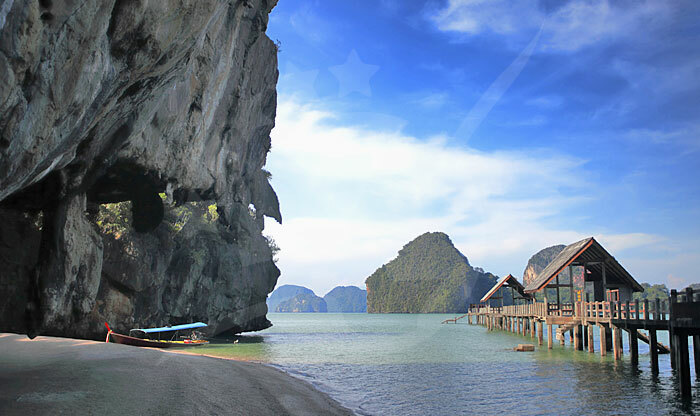 Making the island a famous superstar ever since, aside from the fame the island offers amazing nature especially the signature rocky pinnacle. 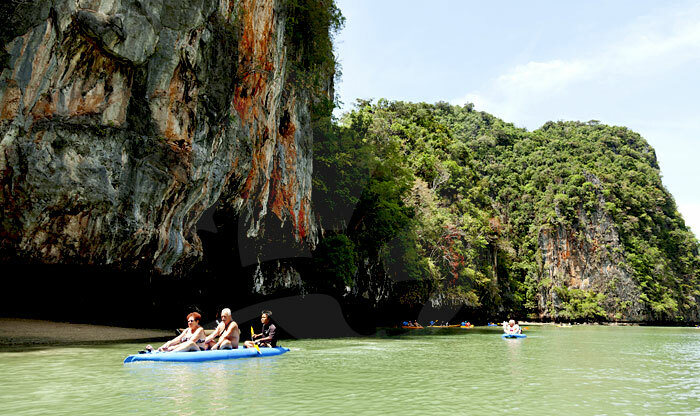 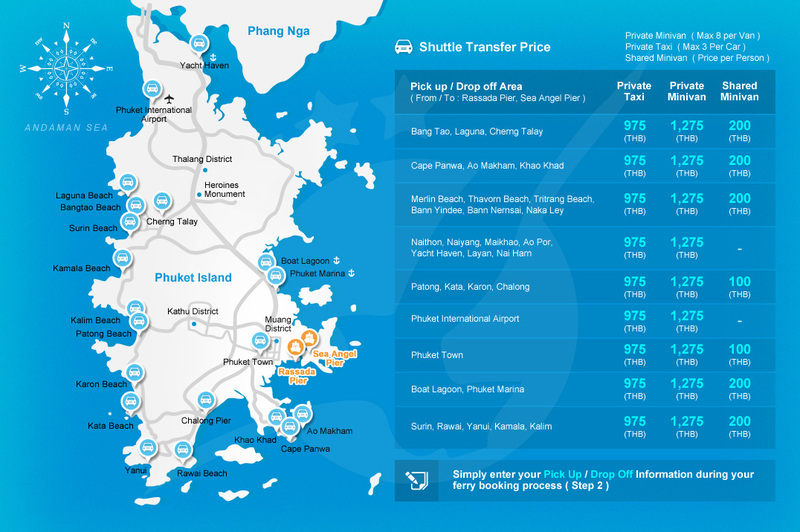 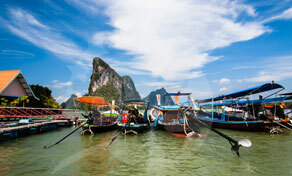 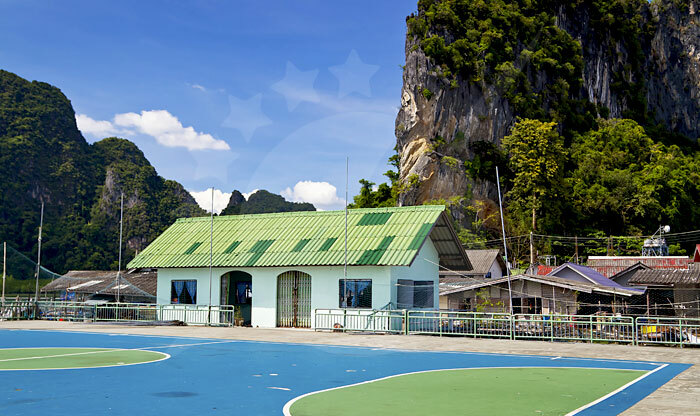 Most tours of Phang Nga will lead you to this spectacular island of riches. 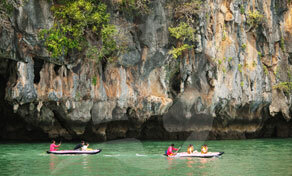 An amazing small island beaded with huge and vertical limestone cliffs. 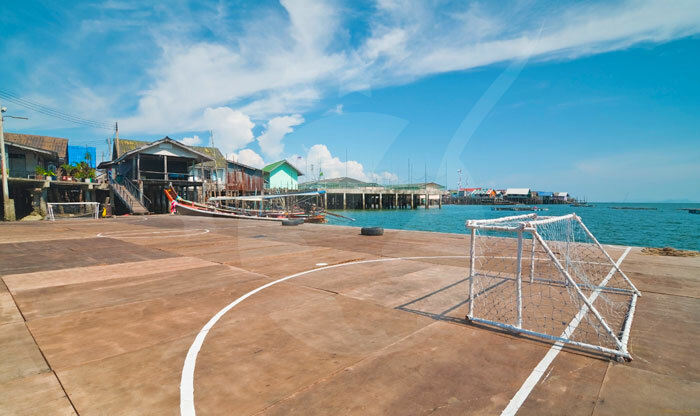 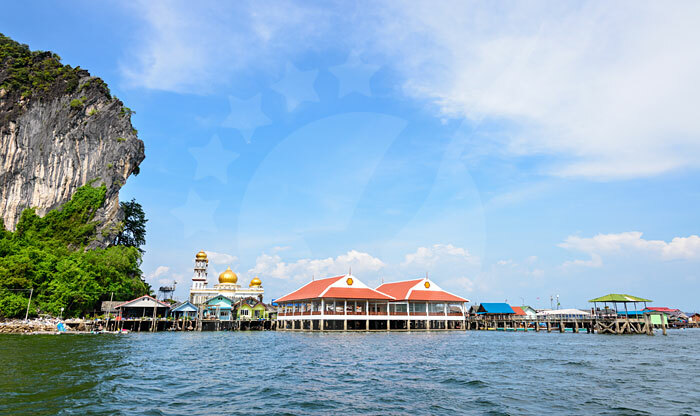 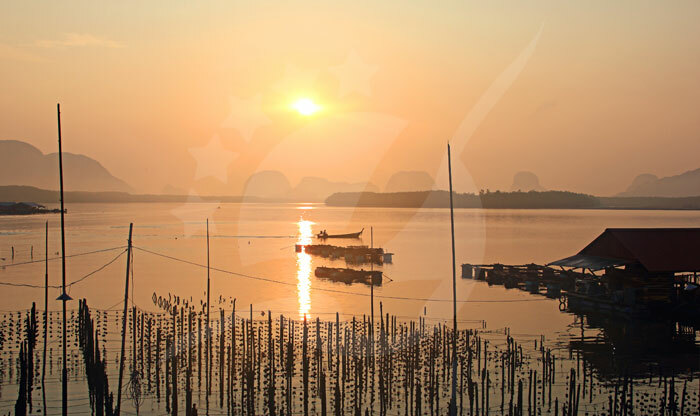 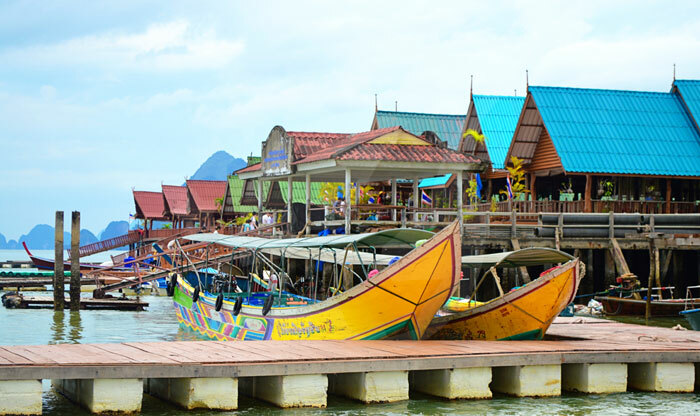 Koh Panyee is also a village that is built on water stilts, giving it the effect of a floating village. 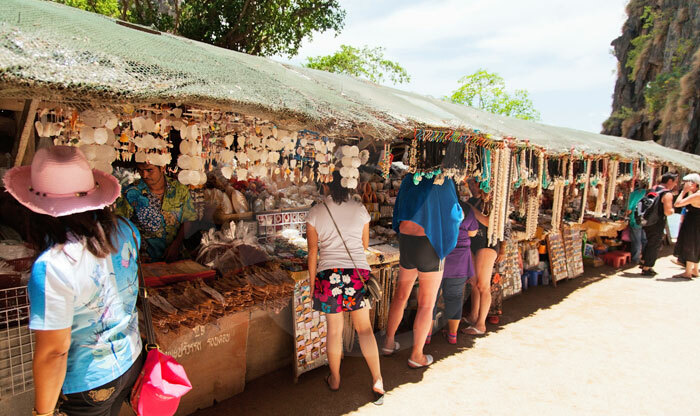 Most tourists of Phang Nga Bay come to this village to eat delicious food and maybe do some shopping while they’re at it, the village is packed with houses, shacks, huts, restaurants, and shops. 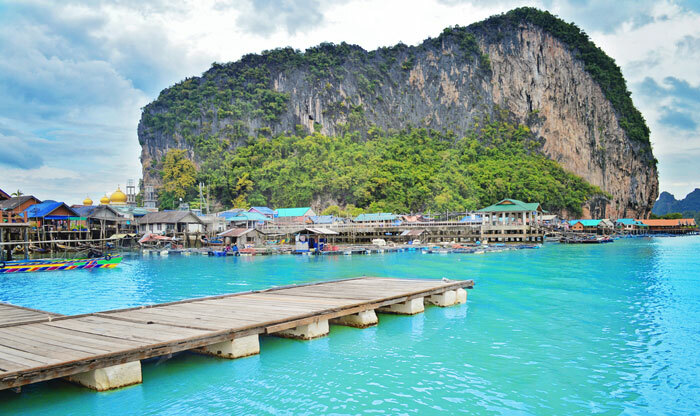 No one knows exactly how many stilts or pillars carry this remarkable village. 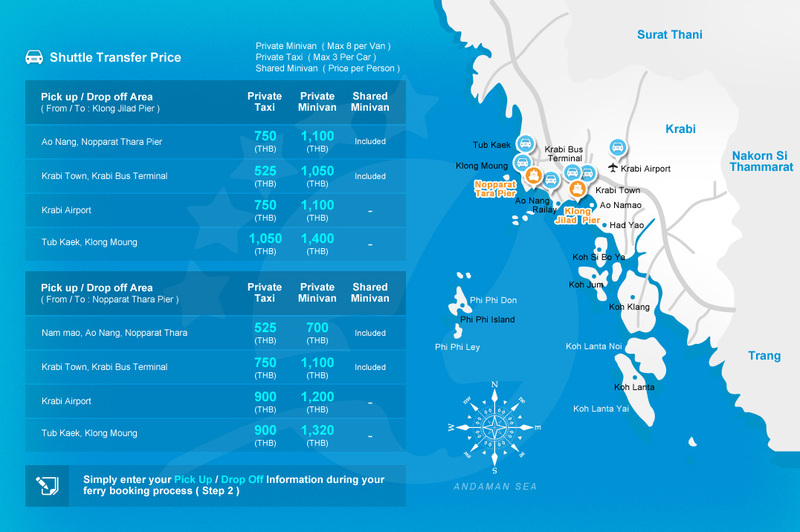 But, it’s definitely a special feature.